The Ruby Crescent is Classic European fingerling. 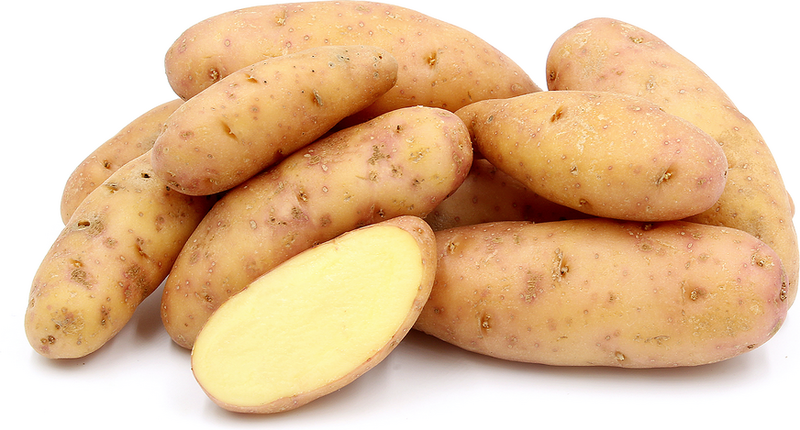 It has a slender shape, blush-colored smooth skin with a moist yellow flesh. Ruby Crescent Potatoes are available year-round with some gapping. Recipes that include Ruby Crescent Fingerling Potatoes. One is easiest, three is harder.